Since many mattresses are “pillow top” or one-sided, you may be wondering if there are truly any benefits to flipping your mattress. The answer is an unequivocal yes, and here are 3 reasons why. A mattress that’s constantly used on one side can present signs of wear and tear more quickly. Sagging and sloping results from a loss of structure after constant exposure to the same weight in the same area. On average, mattresses should be flipped every three to six months, or whenever you notice any sagging. If you neglect this maintenance, your unevenly worn mattress will need to be replaced sooner than you’d like. By flipping your mattress, you’ll give the other side the responsibility of supporting you for a season while the other side of the mattress comes “back to life.” Over time, the other side will recover and restore its shape. When this process is repeated, no area of the mattress will be given undue stress, which results in a product that can last for years. By keeping your mattress in good shape, your body will experience maximum sleep support. This means that your spine will be aligned, reducing the chance of waking up with neck and back pain. Healthier emotions— Sleep deprivation is actually linked to depression, so getting enough sleep is vital for your mental health. Promotes a healthy brain— A rested mind means higher alertness and productivity in work and school. Decreased risk of many chronic diseases. Appetite regulation by balancing your hunger hormones. When all these benefits await you, the five minutes it takes to flip your mattress become a negligible investment toward great returns on your health. Flipping your mattress makes it easy to do routine maintenance cleaning. When over 20 million people in America are allergic to mattress allergens like dust mites, it’s important to do everything you can do to reduce their numbers. Regularly flipping and vacuuming your mattress can decrease the numbers of pesky allergens by not having just one side exposed to our old skin cells and indoor dust. If your current mattress is sloped and caved in beyond repair, it may be time to start on a clean slate and buy a good mattress. Gardner Mattress has been providing people just like you with comfortable mattresses built with outstanding craftsmanship for generations. 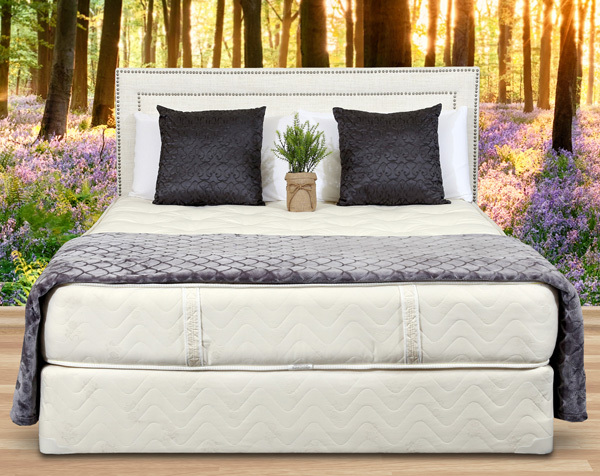 Our organic, American-made mattresses are two-sided and built to last, especially if you regularly flip and clean them. Try out one today risk-free! Previous article	Should You Buy Your Mattress Factory Direct? Why or Why Not? Next article	What Mattress Size Do You Need?